From baby and toddler story hours to STEAM clubs to slime workshops, our Spring schedule is full of fun and educational children’s programs. For your best chance to join the fun, register during our lottery registration period, STARTING TODAY, March 28! Even if you’ve been part of our programs before, everyone must register to continue with programs. Lottery registration ends April 3 with rolling registration, as space is available to follow. 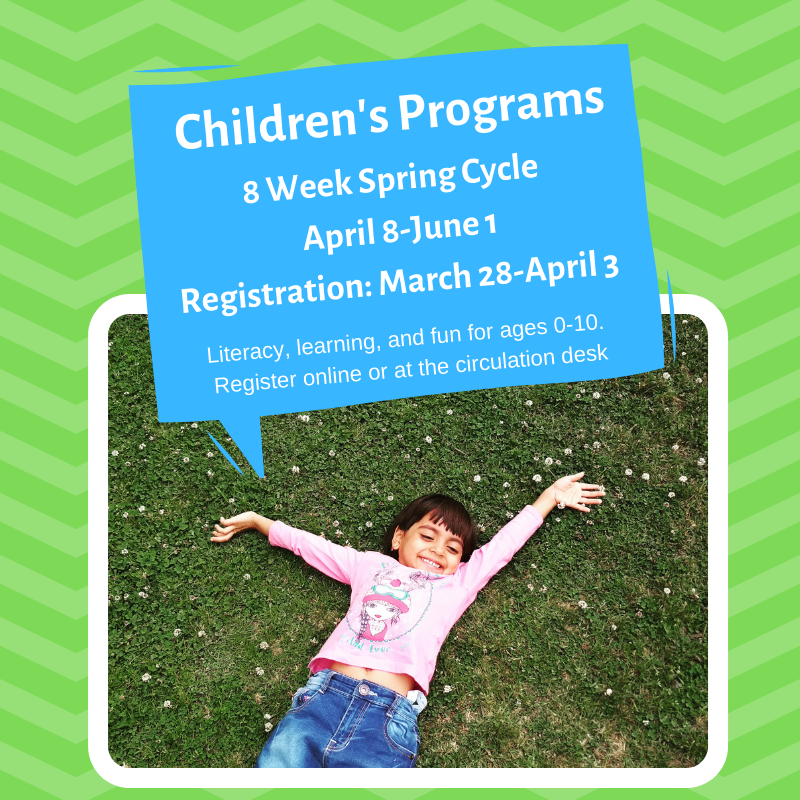 For more information on what’s available and to register, stop by the front desk or visit our online registration portal (http://www.pawlingfreelibrary.org/children/programs/). Spring Children’s Programs begin April 8th. Programs run eight weeks, April 8-June 1st.